and the premium look you want. Benny’s Painting has been providing professional home painting and specialty faux finishes to homes throughout the GTA for over 40 years. Claudio Marino, of Benny’s Painting, works with home owners with discerning tastes. Claudio provides homeowners with the professional finish they want. He has the artistic touch for custom painting solutions, whether is a marble faux finish, a creative paint repair, faux stone finish, fireplace refinishing or a highly refined finish on walls, French doors or any other specialty item found in your home. Benny’s Painting also works with interior decorators and home stagers that need creative and professional house painting services. 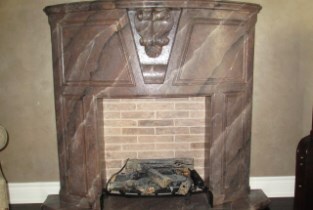 Your mantel, transformed to look exactly like marble, stone, or wood. Amazingly realistic technique for transforming brick to marble at an amazingly affordable cost. No demolition involved. Providing the look and texture of real stone – for a fraction of the cost. 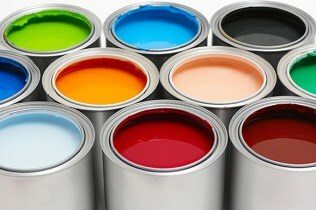 Benny’s painting has the experience to provide you the customized paint solution to meet the requirements for your home. Claudio Marino is a faux finish painting master who can create or recreate the exact look, sheen, and texture you want for your home. With beautiful colorful paint, transform your home. Professional home painters give you the exact look you desire. Custom faux painting techniques to meet your unique requirements.